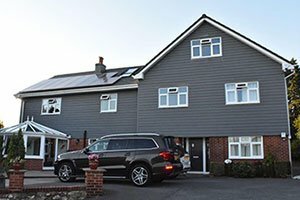 Here at Build It magazine we are committed to bringing our readers the latest news and products in the self build and renovation industry that will make carrying out their projects easier and let them build efficient homes. And every year we host the Build It Awards to celebrate the best of self build and renovations projects in the UK, as well as rewarding excellence and innovation amongst the products and services available to self-builders and renovators. After receiving hundreds of outstanding entries, the judging panel, consisting of Build It magazine editor Chris Bates and a range of industry experts, whitled down the submissions to produce a shortlist and finally the winners you see below. The key categories were voted for by Build It magazine’s readers, including Best Self Build or Renovation Project, Best Self Build Architect or Designer and Best Renovation / Extension Architect or Designer. The winners of the 2018 Build It Awards, in association with BuildStore, were announced at a gala ceremony hosted by comedian Miles Jupp. Jane & Mark Caterer for their stunning luxury retreat by the sea. If your company is interested in entering the awards in 2019, please email Build It magazine or visit the Build It Awards website for more information.